An Australian fertilizer firm has announced a phasing out of phosphate imports from occupied Western Sahara. Norwatch recently wrote that the Norwegian Government’s pension fund was part owner in the company’s mother firm, Wesfarmers. Norwatch, 23 October 2009. See original story on Norwatch.no here (in Norwegian). Translated by Western Sahara Resource Watch. For at least 20 years, the Australian fertiliser firm Wesfarmers has been importing phosphate rock from Western Sahara through its subsidiary CSBP. Two weeks after Norwatch wrote about the imports of phosphate rock from Western Sahara, and that the Norwegian Government’s pension fund is part owner of the firm, CSBP has announced that they are going to “reduce the company’s dependence on phosphate rock from Western Sahara”. CSBP does open, however, the possibility that the imports will continue, albeit to a limited degree, depending on price and availability of alternative sources. Norwatch revealed in the beginning of October that the Norwegian Government's Pension fund has invested heavily in the industry which imports phosphates from the occupied country. Two thirds of all phosphates that are shipped out of Western Sahara, ends up in the hands of 8 pension fund firms, according to Norwatch estimates. Among these long term importers, are the fertilizer firm CSBP, which is owned by the big Australian company Wesfarmers. The Norwegian Pension Fund had at last New Year invested 224 million kroners in the firm. 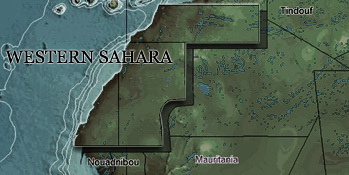 The trade with the phosphates is highly controversial, since it supports a violation of international law, and takes place in disregard of the wishes of the people of Western Sahara. Australia is one of the leading importers of this phosphate, an industry that is contributing to finance the Moroccan continued presence in the neighbouring country, which it occupied in 1975. In a press release that CSBP issued on its homepages last week, the company announced that they are now investing in new technology which will make it possible to use other phosphate sources in the future. The company announced the release ten days after Norwatch had revealed that the Pension Fund was heavily invested in the mother firm. Also previously, other investors have exerted pressure on the firm. The Norwegian investor KLP divested last year due to the phosphate trade, something also Swedish shareholders have done. CSBP explains that the main reason of the broadening the supply base is for the benefit of the firm’s business, and that it has been planned for a long time. Still, they explain that they also listen to the critique which has been raised. “We have also considered the views and needs of a range of stakeholders, including those concerned with the current situation in Western Sahara,” stated CSBP Managing Director Ian Hansen on the homepages. Hansen said in the announcement that the company so far has imported between 60 and 70 percent of its phosphates from Western Sahara. The phosphate is of a kind which is very well suited for the firm’s demands, according to the release. From what Norwatch knows, the imports have been going on since at least at the early 90s. The final decision of what the company intends to do with the Western Sahara trade, will only be made after the technology has been finally installed in 2 years time. A possibility is that they will blend phosphate from different sources. The company does not rule out the possibility that in the future they might still be dependent on phosphate rock from Western Sahara. “The installation of the [technology] does not necessarily foreshadow a complete end to imports of phosphate rock from Western Sahara because factors such as the operational efficiency of the new technology, and the price and reliability of alternative sources will all have to be taken into account when considering future supply arrangements”, stated Hansen.